Although the second season of Star Trek: The Next Generation (1988-9) was curtailed by a writersâ€™ strike, its 22 episodes nevertheless saw some refreshing new developments. Tasha Yar was gone, giving Worf more room to flex his muscles as Chief Security Officer; Geordi was promoted to Head of Engineering; Whoopi Goldbergâ€™s mysterious Guinan presided benevolently over the crewâ€™s rest area, Ten Forward; Dr. Crusher was replaced by the far more acerbic McCoy-like Dr. Pulaski; and mischievous super-entity Q returned to introduce Picard and the Enterprise crew to their greatest nemesis, The Borg. By the end of a transitional season the show had settled down enough to be acknowledged by all as a worthy successor to the 1960s original. 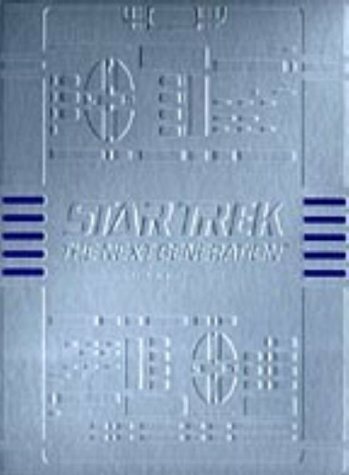 Star Trek: The Next Generation, Season 2 comes packaged exactly like Season 1 in a solid metallic-style plastic outer case with a fold-out cardboard inner, although because of the fewer episodes this time there are only six discs not seven. Sound throughout is vivid Dolby Digital 5.1, with a full frame (1.33:1) picture that occasionally shows its age. Once again the menus neatly imitate the Enterpriseâ€™s own computer interfaces. Disc 6 contains the extra features: the "Mission Overview--Year 2" introduces the new characters and has producer Rick Berman revealing "We were all filled with piss and vinegar" at the success of the show; the "Selected Crew Analysis" continues the same thread interviewing Patrick Stewart, Levar Burton, Jonathan Frakes, Marina Sirtis and Diana Muldaur; the "Departmental Briefing" gives some background on special effects, writing, costumes, props and music; "Memorable Missions" highlights specific episodes and guest stars; finally, and best of all, is "Inside Starfleet Archives", a guided tour with Penny Juday around Paramountâ€™s warehouses stuffed full of Star Trek props and memorabilia. I've been trying to get it for a long time now but there's a lot of bastards who download from me but give me nothing.